Mike Weinland has done commercial work for us in the recent past. The job was entirely satisfactory. I personally have sold a condo that he and his crew built. It was of the hightest and best quality. As for Mike's integrity and ability, there is no question but that it is excellent. If a new home is not in your plans, Weinland Homes can still make your dreams come true. We are not limited to building custom homes, we can take your vision of changes that would enhance your home and remodel an existing room or area that will transform the whole comfort and functionality of where you live. Remodeling is a rewarding endeavor when the initial concept becomes a reality. With the same pride and integrity used in new construction we can transform an existing home. Updating or remodeling your home will increase the value of your property and be desirable to potential buyers. Staying in compliance with the latest codes, we can redesign your home. There are numerous ways to change the look of any room in your home by a few modifications. 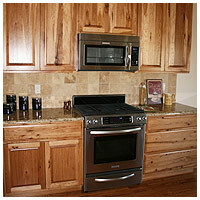 Home remodeling can be anything from kitchen and bath to finishing the basement. 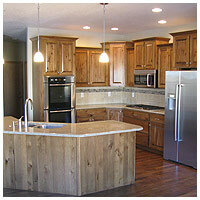 It all depends on what remodeling needs our customers have and how they would like to accomplish the renovation. 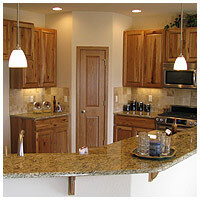 You can customize the look from changing cabinets, countertops, flooring to find the right look for your home. Basements are great for adding square footage to your finished home. The options are numerous and could be the reason a buyer chooses your home. There is always a solution to every problem. With our expertise and your desire we can make the dream happen.